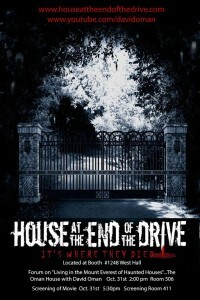 House at the End of the Drive is generating a serious buzz with horror publications and fans. Below are links to online magazines featuring articles about the film. Click on the banners below to go directly to the articles! Fangoria.com now features two stories about the film! Links to these sites are provided for your information and further research. They are not affiliated with the film House at the End of the Drive in any way. Jackie Barrett and the Fangoria TV team of Ghost Stories EVP conducted a very special paranormal investigation of House at the End of the Drive Producer David Oman’s residence on the site of the Manson Murders. Jackie Barrett is well-respected for her impressive work with law enforcement, using her insight to the other side for assistance in crime solving. She has appeared on America’s Most Wanted and TIPS. 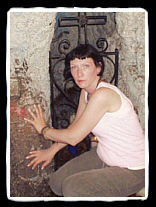 Jackie also reads for private parties, impressing guests with breathtaking Bone Readings, Touch Psychic Readings, Tarot Readings and seances, while on the flipside performing wedding blessings to strengthen love through spell casting. To learn more about Jackie, click here to visit her website. More links are continuously being added. If you would like to suggest a relevant link, send us an email.